We all brush our teeth, but how many of us do the same for our pets? 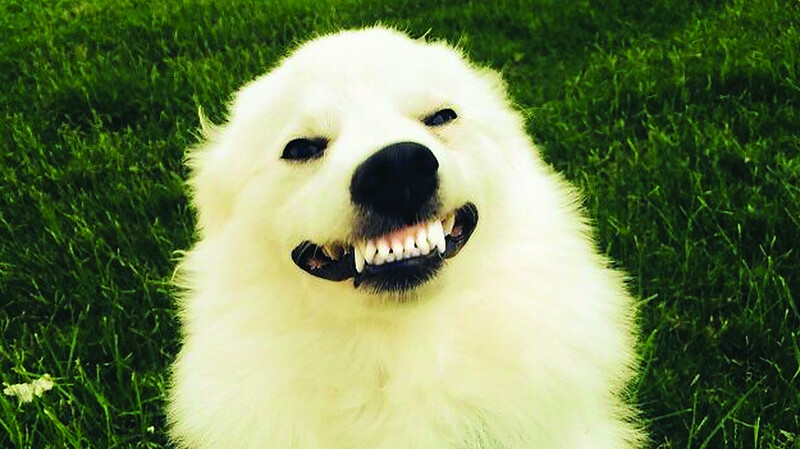 Often we completely ignore our pet’s teeth—which can be a big mistake! Periodontitis is a bacterial infection of the mouth and causes inflammation, pain and sometimes bleeding. It’s one of the most common diseases veterinarians see in pets and, unfortunately, it is frequently overlooked, especially in Vietnam where professional veterinary dentistry is not widely available. Red Gums – Gums should be pale pink, if they look bright red or there’s a red line around teeth then it’s a sign of inflammation and gingivitis. Yellow/Brown – Normal teeth should be almost white, staining or tartar is usually obvious, and make sure to check right at the back. Poor Appetite/Weight Loss – This can be a sign of advanced dental disease. Just because your pet is eating doesn’t mean they don’t have dental disease or pain. Luckily we can help to prevent dental disease with early intervention. Brush – Daily brushing really helps to prevent plaque (be sure to use an animal toothpaste as some human toothpastes are toxic). Chew – Give special chew toys that are designed to help reduce tartar build-up. Treats – Some pet treats have enzymes that reduce tartar and calculus. Clean – There is no substitute for regular dental cleanings by your veterinarian. These must be done under general anesthesia. If we don’t remove the buildup of tartar (invisible) and calculus (visible) on our pet’s teeth they will cause gingivitis (a painful inflammation), bad breath, dental disease and tooth loss. Not only is this unpleasant for everyone but it’s very painful and can lead to many secondary complications for your pet. Pets with periodontal disease are also more likely to be diagnosed with heart disease as well as other forms of bodily organ damage as bacteria from the mouth constantly circulates through the blood and sticks to the inside of arteries and veins near the heart. Consult your veterinarian at least once every six months to evaluate your pet’s oral health. They should be able to answer questions about home care, as well as evaluate the frequency with which your pet should receive professional cleanings. Do they use a dental chart to record their work? Do they have an ultrasonic scaler to properly clean teeth? Manual cleaning is not effective. Are nerve-blocks used in case of extractions to reduce pain to your pet? Do they place an IV catheter and give intravenous fluids throughout the dental cleaning? Proper hydration is essential for a quick and safe recovery from anesthesia. Is there a monitoring equipment (oxygen saturation, E.C.G, etc) and a dedicated technician throughout the anesthetic? Are intubated (breathing tube inserted through the mouth into the wind pipe) used to protect their lungs from blood and fluids present in the mouth and also for delivery of supplemental oxygen? It is vitally important that your pet has their teeth cleaned under anesthetic as this is the only way that a full oral examination can be carried out. It is also impossible to clean below the gum line, which is where most of the bacteria are found, in a cat or dog that is awake. Also, it is highly distressing and often painful for your pet as well as providing no benefit to their dental health to have them awake for the procedure. BIO: Dr. Anna is one of the veterinary surgeons at Animal Doctors International (www.animaldoctors.vn). Anna’s special interest is neurology in which she gained experience in referral hospitals in Germany and Switzerland. Anna has moved to Vietnam following a successful stint as senior veterinarian for an animal charity in Thailand.